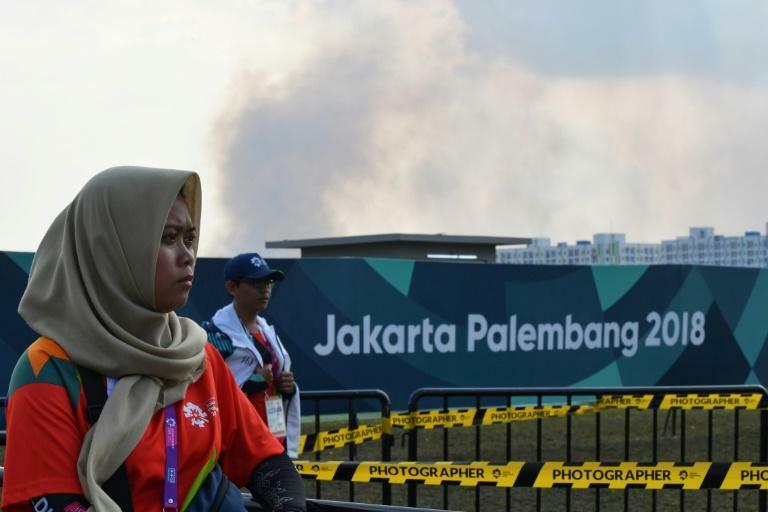 A large blaze broke out right next to the Asian Games site in the Indonesian city of Palembang on Tuesday as firefighters scrambled to prevent clouds of smoke affecting competition events. 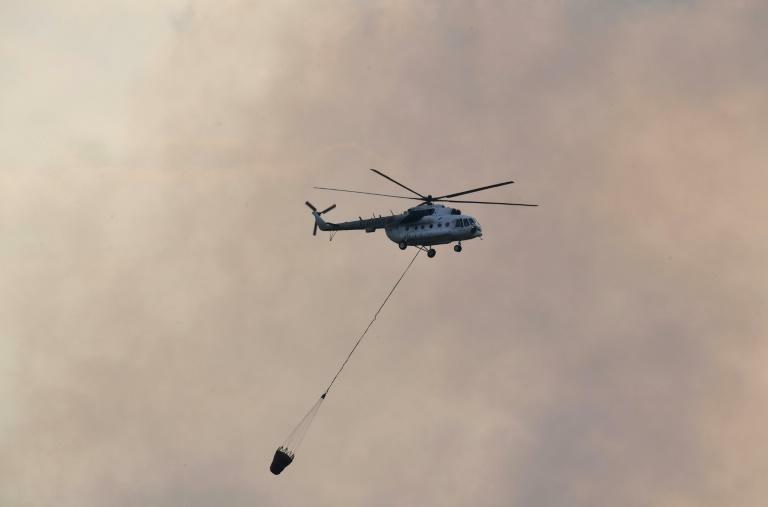 Helicopters scooped up water to douse the flames in fields bordering the sports complex while dozens of firefighters on the ground helped extinguish the blaze, as athletes competed close by in shooting and beach volleyball. Chinese shooter Wang Xiaojing, 26, told AFP that she saw the fire during the trap mixed team final but kept her focus, later taking the bronze medal with teammate Yu Du. A southerly wind helped prevent too much embarrassment for organisers of the world's second-biggest multi-sport event, blowing the smoke away from the athletes. South Sumatra Governor Alex Noerdin said at the scene that he was "100 percent confident" that haze would not mar the regional Olympics, adding that 10 fire trucks and a helicopter had been deployed in less than 15 minutes. Palembang is one of two host cities of the Asian Games, along with Jakarta. A couple of buildings housing some of the sport stars directly overlooked the blaze. The threat of haze has been a particularly sensitive issue for officials, with fires and pollution common in the country during peak hot season. The conflagration came on the same day that environmental activists scaled a huge billboard in central Jakarta to get their anti-pollution message across. Greenpeace members covered it with a mural showing a person wearing a gas mask and the message "#WeBreatheTheSameAir". It also displayed the number 152 -- the day's air-quality index reading for the sprawling city notorious for its traffic jams. Anything over 150 is considered a health threat to the general population. "The government must find a real solution because we are in the spotlight as the organiser of Asia's biggest sports party," said Greenpeace Indonesia campaigner Bondan Andriyanu. About 17,000 athletes and officials from 45 Asian countries -- along with hordes of sports-crazy tourists -- are in Jakarta and Palembang for the Asian sporting extravaganza, which runs until September 2.